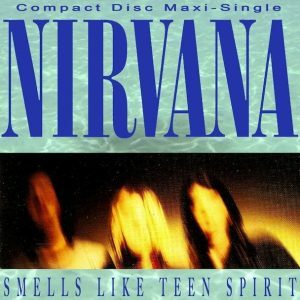 Smells like Teen Spirit is the single that changed the fortunes of Nirvana and the face of modern music. When doing a little bit of research into this week’s Flashback Friday it surprised me that Smells like Teen Spirit was released nearly 26 years ago! I can’t quite believe that it was that long ago which makes me feel old. However, listening to Smells like Teen Spirit immediately takes me back to my first year at Uni and the breakthrough of alternative rock into the main stream. Oh it also makes me feel young again, which is always a good thing. Smells like Teen Spirit was the opening track and also the first single of Nirvana’s second album Nevermind. Rather surprisingly Smells like Teen Spirit was never expected to be a big success and the reception the single received was a huge surprise to both the band and their record company. When it was released Smells like Teen Spirit was only expected to sell to the bands current fan base. However, it was picked up by college radio and modern rock radio stations that put it on heavy rotation and pushed it out to a wider audience. From there the single really started to shift some units. But it was the release and airing of the video, to accompany the song, on MTV’s late night alternative rock show 120 Minutes that was the catalyst that propelled the song to become a hit. From the reaction to the song on 120 Minutes MTV decided to add the song to its Buzz Bin and by the end of the year Smells like Teen Spirit had crossed over from its alternative rock audience and shifted firmly into the mainstream. Smells like Teen Spirit was written by Kurt Cobain as, he admitted, a blatant rip off of the Pixies style of writing, which was to play soft and quiet and then loud and hard. Based on a basic chord progression the songs simplicity is what makes it so catchy. Who would have thought that a song about a deodorant brand would prove to be so successful and change the face of guitar music!